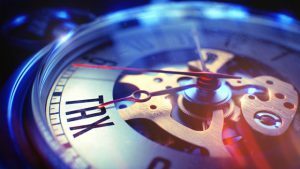 The government has announced its plans to introduce new legislation which will more than double the retrospective time limit during which HMRC can investigate non-payment of income tax, capital gains tax and inheritance tax from offshore accounts where there is “non-deliberate offshore non-compliance”. Currently, a discovery assessment can be raised up to four years after the end of the tax year in question, which can be extended to six years if HMRC can demonstrate carelessness has been involved. The proposals extend the four and six year time limits to twelve years if the error involves offshore tax and will apply to any periods that are in time for Discovery in April 2019. The time limit for deliberate offshore tax avoidance will remain unchanged at 20 years. These amendments will have effect in relation to tax assessments from April 2013 in cases where the loss of tax is brought about carelessly, and from April 2015 and subsequent years for other cases. A safeguard will exist which mean that if information was originally provided to HMRC and they could reasonably have been expected to issue an assessment based on these, the usual four to six year time limits are only available to HMRC and not the proposed extended time limits. There are apparently no plans to extend the time limit for repayments. The Bill will be submitted for parliamentary approval in the autumn and will be in statute by the end of 2018 if it receives Royal Assent. If you have undisclosed offshore income and gains, you should consider making an unprompted disclosure and you should also be aware of HMRC’s Requirement to Correct. Please get in touch with a member of our team if you would like to discuss your situation.